This page details the conversion and programming of some of the Kenwood PMRs available on the second hand market. These programs, Kenwood KPG-20D and Kenwood KPG-67D programming software, seem to be freely availiable and various people are distributing it freely. I could not find a manual or an EULA for the software – I have assumed it is freely distributable. If this is not the case, I will remove this software immediately. 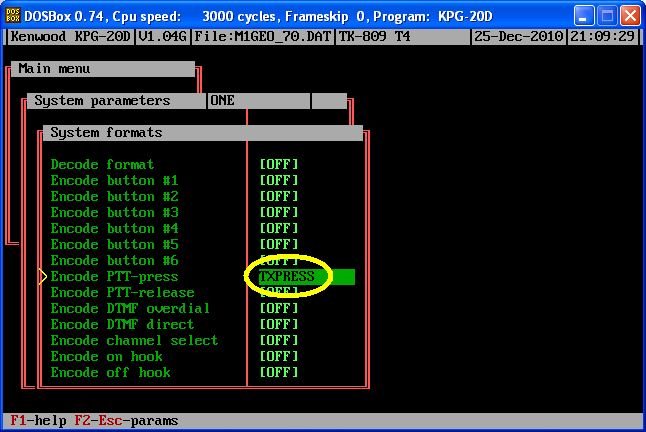 The end column of the list above will show you what version of the program you need. The usage of this software is quite complex. I wasn’t able to find a manual for this program though there is apparently one. So this small section aims to outline basic functionality. 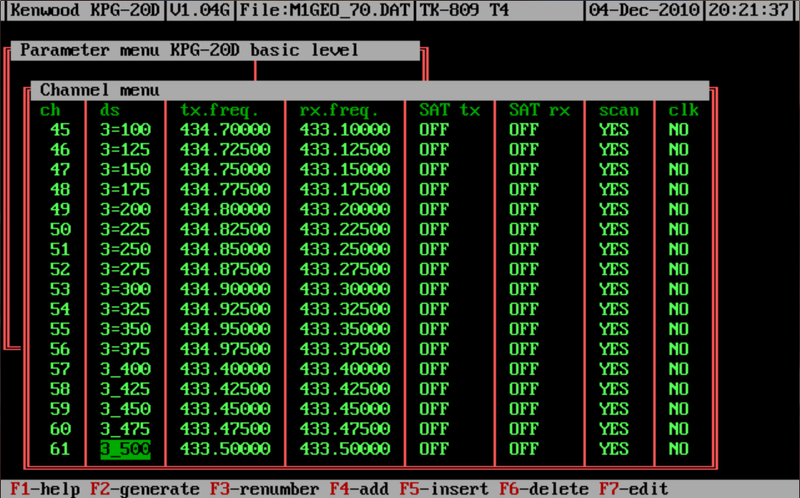 From the Main menu, enter the Basic level KPG-20D. * SAT tx and SAT rx allow for CTCSS, DCS and SelCall to be set. Press F1 for more. * clk allows for the clock frequency of the radios CPU to be moved to reduce possible interference. From Main menu > Advanced options, you can select either Keys, microphone or Keys, front panel to set microphone and front panel button functions. Under Main menu > Advanced options > Configuration you can select the TransLink port (the programming cable port), Licencing information, and the like. Have a look around, using the help (F1) to see if you can tweak anything. * Press F5 to program the radio via the TransLink cable. 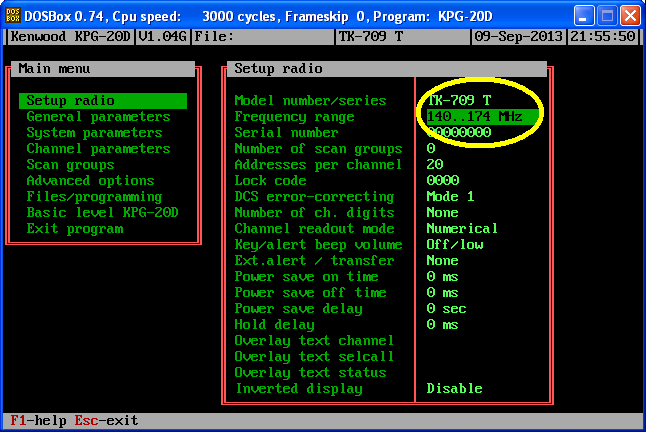 Because Kenwood make Amateur Radio equipment as well as commercial, the software will not (as standard) accept frequencies in the amateur radio bands. This is easily rectified by editing the program’s “.msg” file. The two images show the TK-709 T frequency range has been modified from 150-170 MHz to 140-170 MHz, thus covering the 2 metre amateur bands. This process holds for other models of radio too. 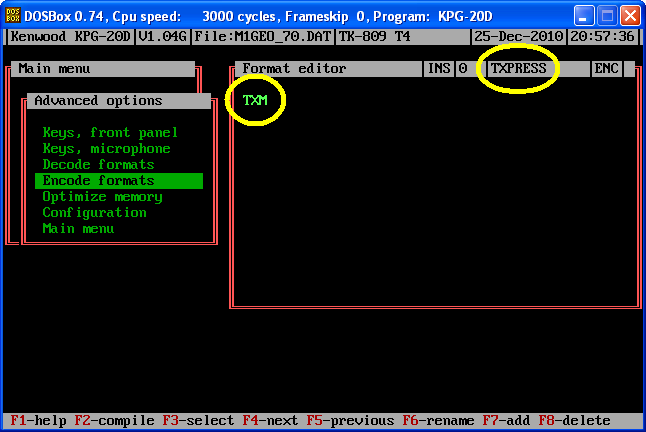 Inside your standard file browser, locate the program’s “.msg” file, for KPG-20D called “Kpg-20d.msg”. Open this with your preferred HEX editor. 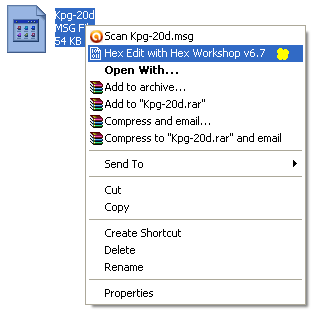 Here, I use “Hex Workshop v6.7” (free). When you find the radio in the message file, you will need the frequency range label and the minimum and maximum frequency. Save the HEX. Re-start the program and the frequency range will have changed. You may need to tweak the receiver tuning to improve sensitivity. A common problem reported is that when pressing PTT, the radio transmits a carrier but no audio. This is probably due to the Encode Scripts (left image). These are set already in M1GEO_70.DAT. Under Advanced Options > Encode formats: F4 and F5 go through scripts. TXM enables the TX Mic audio – This fixes the problem with no TX audio. You next need to assign this to the PTT press (right image). From the Main menu > System parameters > F2. 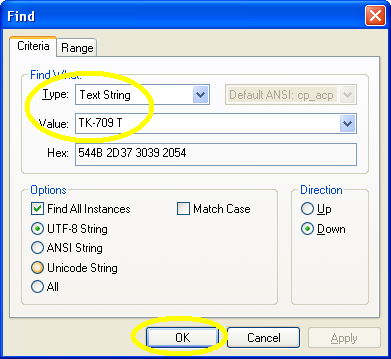 Use the up/down arrows to select Encode PTT-Press. Then select the script you created above: Use Insert key to get list of scripts. When the PTT button is pressed, the script (here called TXPRESS) is run. This sets the modulation source to be the microphone. Job done. If you require sending tones, data, etc. this can be done with Encode scripts. Check out the Kenwood documentation in the section below. A good example is if you have programmed CTCSS or DCS options in the SAT (subaudible tones) you need to enable their transmission, with the SCTP instruction after the TXM instruction in the Encode PTT-Press script. This data file has some repeater shifts for GB3HW and my Echolink node: CTCSS Repeater It has the SCTP instruction and TXM. It may help you understand how it works. This software is much simpler than the KPG-20D software. There are no encode scripts to worry about. I haven’t had time to write this section up properly with images yet, but it’s fairly obvious. I had results pretty much instantly with this program. If you are running an operating system other than Microsoft DOS or a DOS based version of Widnows (95 or 98), for example Ubuntu Linux or Windows XP/Vista (God help you)/7 you are likely to have trouble with running DOS programs. For some reason, Microsoft seem to excel at removing backwards compatability from their software. 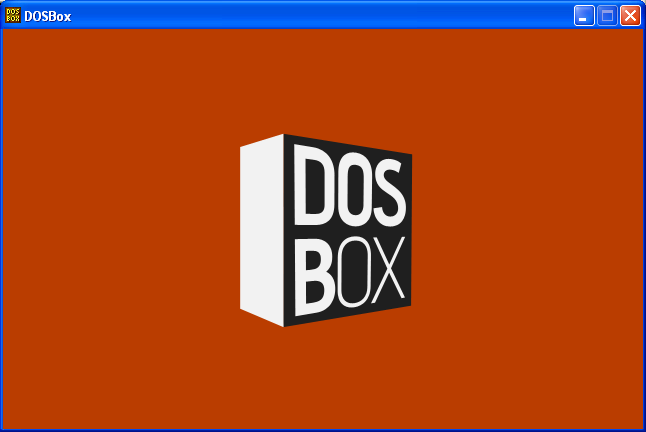 A simple away around this is to use DOSBox. 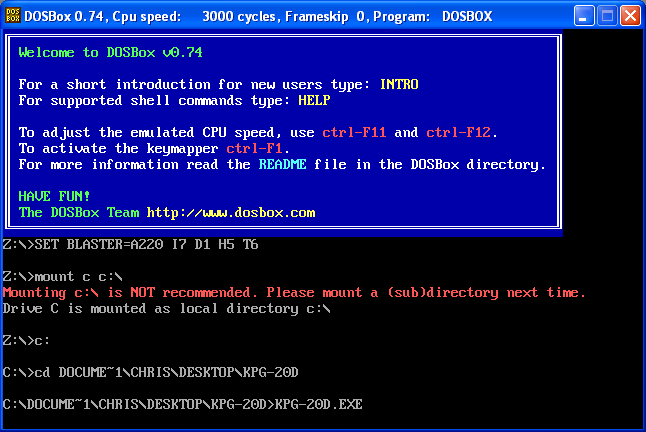 DOSBox is a brilliant piece of software, for anything like this! Refer to the usage section above for how to actually use the programs to set up the radios. Some useful documentation regarding the Kenwood Radios mentioned on this page.. Microphone instruction and service manuals. This section details the programming of a Kenwood TK-809 (T4) radio. 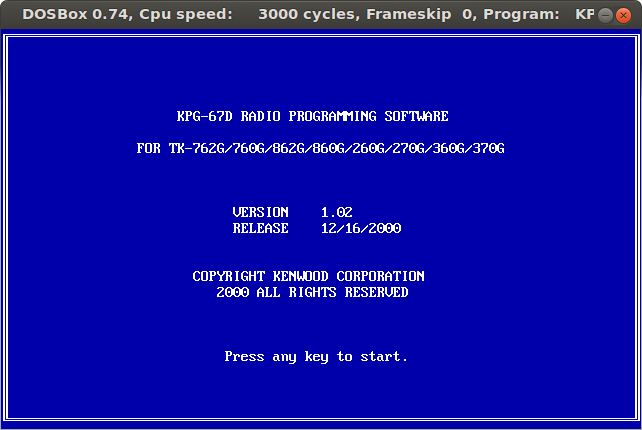 Many of the radios in this series are the same, and use the Kenwook KPG-20D programming software. 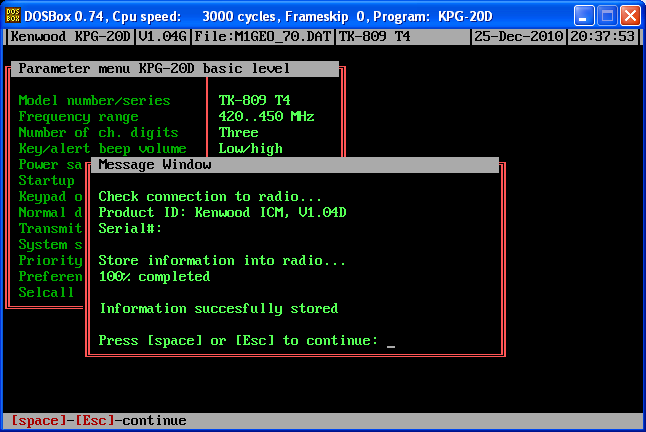 The Kenwood KPG-20D software is available on the internet and on many user groups. The version I have came from the radio-programming Yahoo group. I have also included a copy on this page with my channel data down the page. 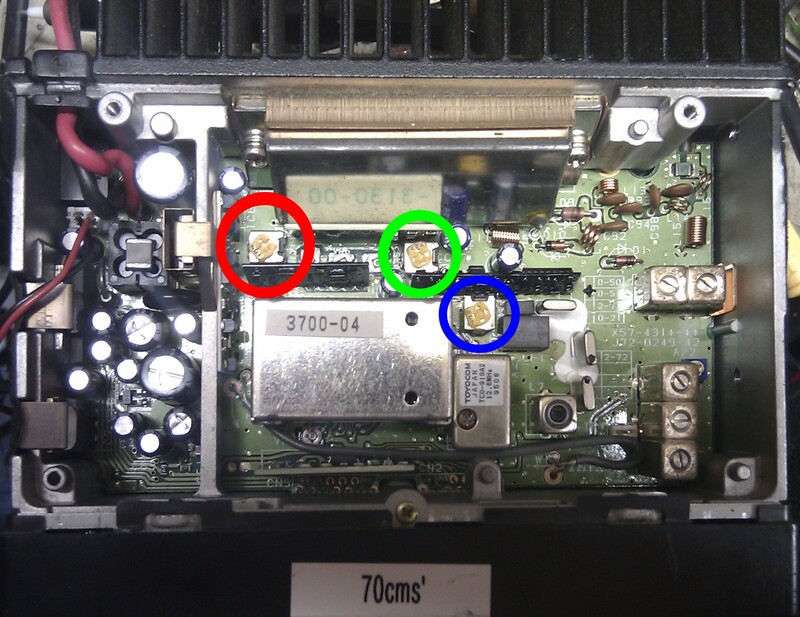 Inside the radio, there are 3 variable resistors that allow you to adjust certain parameters. The red pot allows you to set the deviation on the radio. This is the same as microphone gain. The green pot allows you to set the maximum RF power output. Note that there is also a setting in software, allowing you to set (typically) 5 watts or 25 watts. You should set this to 25 watts when the radio is in the high power (25 watt) mode. The blue pot allows you to set the squelch level. The data file (M1GEO_70.DAT included in the KPG-20D software) includes 432MHz to 435MHz at 25KHz spacing and also has PMR-446 frequencies programmed in. There is no CTCSS or SellCall data set, but this may be modified inside the program. It was intended for the TK-809 T4 radio, but may fit others. Standard LCD Display showing frequency, 3_500 translates to 433.500. The LCD Display changes to reflect that there is a TX shift for repeater use. PMR 446, Channel 1 through 8. All segments and symbols on the LCD to test display. Err 2 EEPROM Error: Tested on power-up. This means that the program/channel data is corrupt (CRC error). Try reprogramming? Err 3 PLL Out of Lock: Tested continuously. Appears when PLL is out of lock in TX or RX. Adjust VCO? This radio is similar to the TK-809, though I believe slightly newer. The 862G is an 8 channel radio that is programmed by the Kenwood KPG-67D software. This radio is similar to the TK-862G(N), but is the VHF version. The 762G is also 8 channel radio that is programmed by the Kenwood KPG-67D software. M1GEO 2M APRS (RAR compressed DAT file) – APRS Data file, contains some club net frequencies, APRS frequency and a few FM simplex channels. The microphone socket on the this series of Kenwood radio has a 6-pin connector on the front panel. Connections for the Kenwood KMC-18 microphone are given below. There is a Instruction Manual and a Service Manual for the microphone.